Last weekend we went on Open House to see The Royal Society. The buildings are certainly well situated on overlooking The Mall and are pretty impressive inside too. 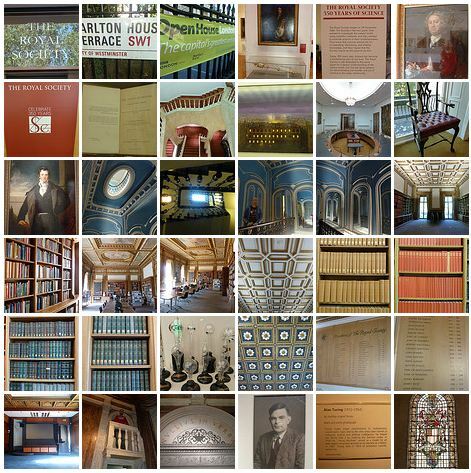 Lots of oak panelling, august libraries and classical painting of scientific luminaries. More pix here.